The EasyGO Smart Key System is an advanced, computerized system that fully integrates with your vehicle, providing you with Ignition Push Start, Proximity Keyless Entry, Remote Start and Vehicle Security Alarm all without the use of a traditional key. 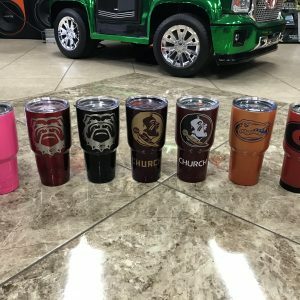 It functions just as if your vehicle was factory equipped with these features at a fraction of what it would cost to upgrade to a higher level trim or model vehicle. Once you convert to a new fully optioned Smart Key System, you’ll never be able to go back to using the old key. This is the same evolutionary and advanced technology that is available in many of the high-end top luxury vehicles on the road today. It is simple and easy to use: with the smart key remote fob in your pocket, simply walk up to your vehicle and the doors will automatically unlock and as you exit the vehicle and walk away the door will automatically lock. Once you are inside the vehicle, press your foot on the brake and push the Engine Start button to turn on the engine and drive. The EasyGO Smart Key System will make your driving experience comfortable and convenient. Having Vehicle Security offers excellent protection against vehicle theft. It will automatically arm and disarm the security alarm when you lock and unlock your vehicle. 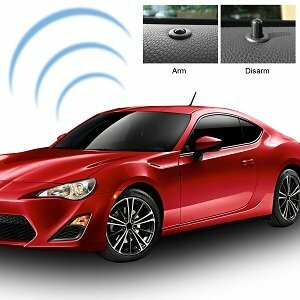 With the passive arming activated, when you walk away from the proximity range of your vehicle the security alarm will automatically arm and as you approach the proximity range of your vehicle the security alarm will automatically disarm for you to enter the vehicle. Have total peace of mind that your vehicle is always safe and secure. Not only does the EasyGO Smart Key System upgrade your vehicle with full features not offered by the original car manufacturer, it is also the only system that adds true value to your vehicle while providing you with comfort, convenience, security and safety. It is simply designed to make your life simple and easy. 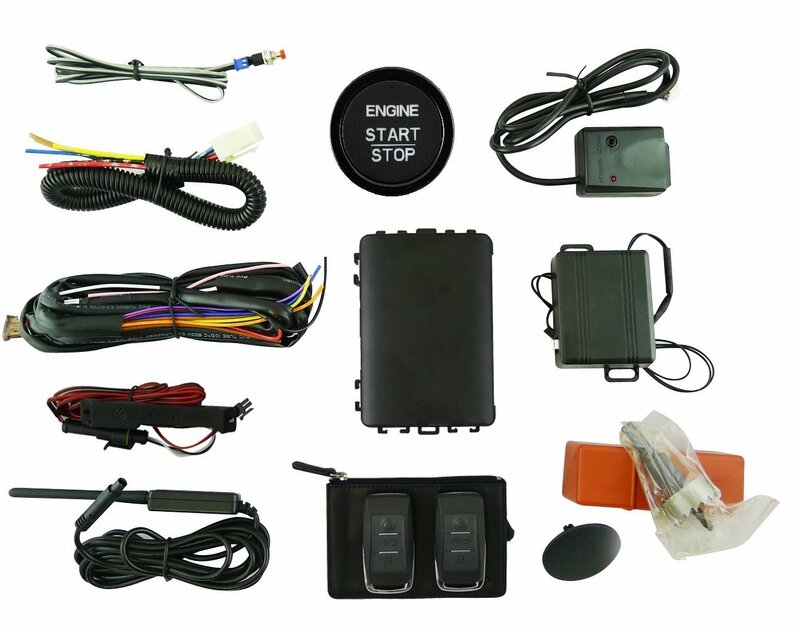 The EasyGO Smart Key System is a SEMA award-winning, advanced computerized system that fully integrates with your vehicle, providing you with Ignition Push Start, Comfort Proximity Keyless Entry, Remote Engine Start and Vehicle Security Alarm all without the use of a traditional key. The EasyGO system is factory certified and meets OEM standards for quality and safety.¹ It functions just as if your vehicle was factory equipped with these features at a fraction of what it would cost to upgrade to a higher level trim or model vehicle. Once you convert to a new fully optioned Smart Key system, you will not want to go back to using a traditional key. This is the same evolutionary and advanced technology that is available in many of the high-end top luxury vehicles on the road today. It is simple and easy to use: with the Smartkey remote fob in your pocket, simply walk up to your vehicle and the system will auto-disarm and unlock the driver’s door for you to enter the vehicle. Once you are inside the vehicle, press your foot on the brake and push the Engine Start button to turn on the engine and drive. The EasyGO Smart Key System will make your driving experience comfortable and convenient. 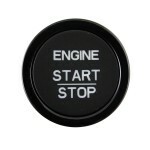 The Remote Engine Start is a great feature to have on those hot summer days and cold winter mornings. 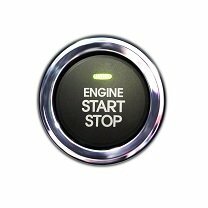 Using the SmartKey remote fob, you can start your vehicle’s engine and A/C system at a comfortable distance away from the vehicle. No more having to warm up the vehicle’s engine before driving in the morning or sitting in a hot stuffy car waiting for the A/C to cool it down. Simply get into the vehicle and drive. 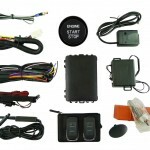 Having a vehicle security system offers excellent protection against vehicle theft. It will automatically arm and disarm the security alarm when you lock and unlock your vehicle. With the passive arming activated, when you walk away from the proximity range of your vehicle and the system will automatically lock and arm the vehicle on its own. 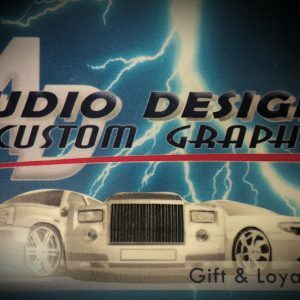 Have total peace of mind that your vehicle is always safe and secure. In case the battery in the Smart Key fob is drained completely and it will not unlock the vehicle for you, turn the fob around to the back and push to slide upwards to remove the back cover. 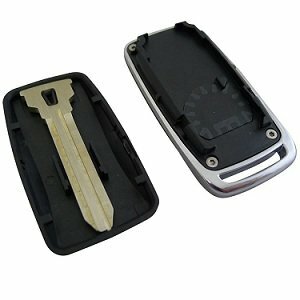 Inside the back cover is included an uncut spare key.² Insert this spare key into the key cylinder on your driver door handle to manually unlock the vehicle. 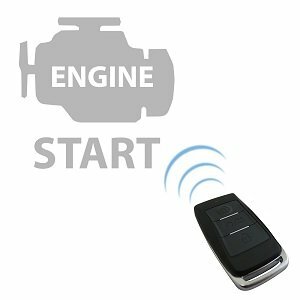 Once you are inside of the vehicle simply hold your Smart Key fob up to the Engine Start button to disarm the system and push to start your engine as normal. This override feature will enable you to enter your vehicle and drive without being stranded or having to call for a tow truck. Not only does the EasyGO Smart Key System upgrade your vehicle with full features not offered by the original car manufacturer, it’s also the only system that adds true value to your vehicle while providing you with comfort, convenience, security and safety. It is simply designed to make your life simple and easy. EasyGO Main Brain Unit, RF/remote start antenna, shock sensor, push start button, OE color-matched replacement panel (varies depending on vehicle models), override valet sensor, two comfort entry RFID antennas, alarm LED flashing light, OE color matched driver door handle, transponder key bypass module, two smart key remote fobs, two mechanical spare keys, ignition harness plug, 16 pin main wire harness, push start button harness. 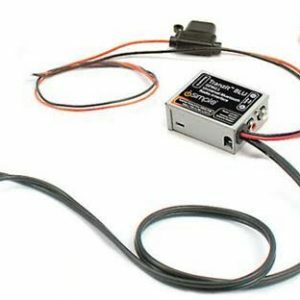 ¹The EasyGO system is certified and approved by General Motors. ²It is the owner’s responsibility to have this spare key cut for their specific vehicle. 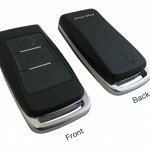 DISCLAIMER: The EasyGO Smart Key system may interfere with some pacemakers or cardiac defibrillators. If you have one of these medical devices, please talk to your doctor to see if you should deactivate this system.